Read the May 2018 digital magazine for cycle route directions. Photo by Jonathan Manning. Wagtail Country Park is situated in the peaceful and tranquil Lincolnshire countryside, with breath taking views and amazing sunsets. There are many local tourist attractions in the area including Belton House and Belvoir Castle which are both within a short drive. Together with the Cathedral City of Lincoln and the historic towns of Grantham and Newark, Wagtail Country Park has something to offer for everyone and is open all year round. This pretty site has achieved a David Bellamy Gold award and there is an abundance of wildlife and local countryside walks; you will see deer, hares, rabbits, owls, woodpecker, kingfisher and many varieties of birds including the Wagtail. 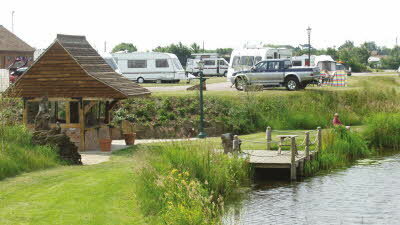 The park also has two well stocked fishing lakes with a mixture of rudd, tench, roach, carp barble and more. The site has large hard standing pitches, all 10 metres x 10 metres with 16amp electric hook up and screened with shrubs and borders for added privacy, thus creating a spacious feeling. In addition there is also an adult only area on site. Dogs are very welcome and will enjoy local nearby walks in the beautiful countryside, and shorter wildlife walks on site around our circular perimeter. Enjoy the 4km Beanholme Walk taking approx 1 hour to complete, the 8km Witham Walk taking approx 2.5 hours to complete or the 11km Foston Beck Walk taking approx 3.5 hours to complete. There are supermarkets in Grantham, 5 miles away. From the north on the A1: turn left to Barkston and Marston and then turn right for Barkston onto Green Lane. Follow the road until you see Cliff Lane, continue through until you see the Wagtail Country Park sign (after Wagtail Fisheries sign) the site entrance is on the left. From the south on the A1: turn right to Barston and Marston and then turn right for Barkston onto Green Lane follow the road until you see Cliff Lane. Continue through until you see the Wagtail Country Park sign (after Wagtail Fisheries sign) - the entrance is on the left. Just spent 9 nights here. a very peaceful and well kept site. Excellent fishing in the visitors only lake, the site and facilities are spotless and there is a nice dog walk around the perimeter of the site. Sue, the manager is an absolute delight and so helpful. 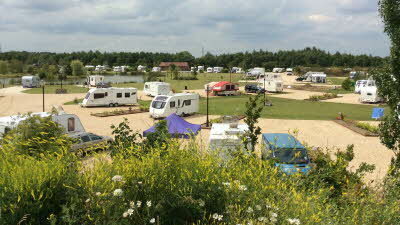 we also liked the more relaxed feeling about the place unlike some club owned sites ? It is a little remote so make sure you take all you need although the site shop has a good selection of basics and other things including fishing tackle and bait. 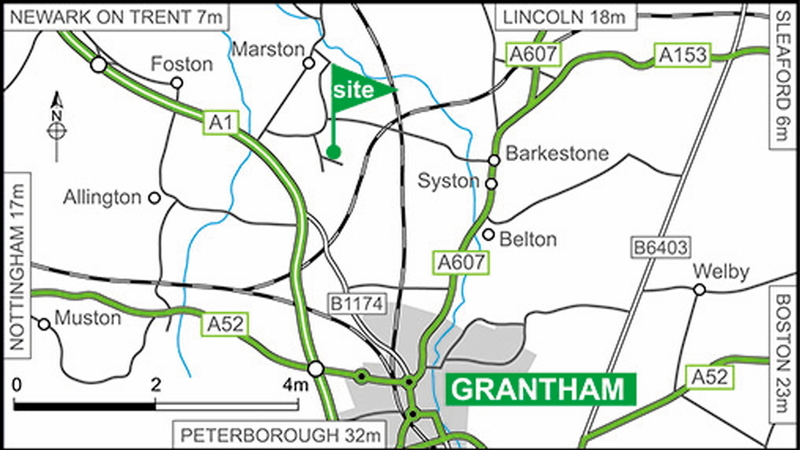 If you do need to get supplies then Grantham is only a 20 minute drive away. We can't recommend this site enough and will be returning in the near future for sure. Thank you to all at Wagtail who made our stay so enjoyable. 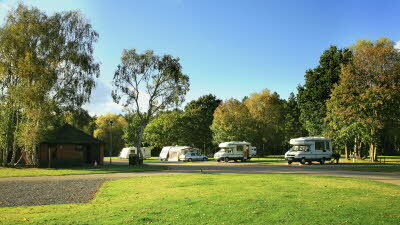 Pretty site, well maintained with good clean showers and toilets. 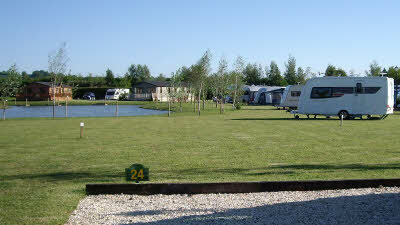 Ideal for fishing with a well stocked lake and lakeside pitches. 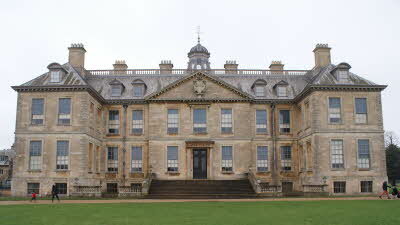 Visited Belton house just 10 mins away which is one of the best National Trust properties. Great farm shop on way to Belton with lovely cafe and pick your own strawberries. Ramada hotel on Toll bar road offers a good swimming pool, sauna,steam room and Jacuzzi for £10 a day or £20 a week. Just mention you are staying at Wagtail. They also have a range of treatments. Again ideal for adults. Will definitely visit again. We visited this site midweek for four nights in June. It is large, clean and well maintained. A team of grounds staff was always busy. 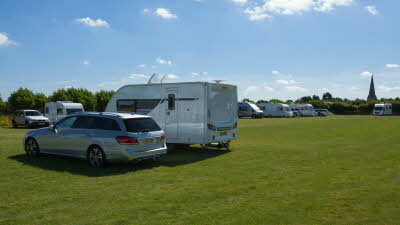 There is a mix of tourer pitches and large static cabins. A large central fishing lake is surrounded by an immaculate green with ducks, coots and geese which are quite unfazed by humans and we were fortunate to see several young broods close up. A group of ducks adopted us and visited our pitch daily for some food ignoring our terriers. The site is quiet. Although less than a mile from the A1 it has a feeling of isolation. There are only limited footpaths in the immediate area, a bit disappointing as we like walking our dogs. After walking round a nearby field boundary we happened on a track. Within a minute we were met by a woman and told (politely) it was a private road so had to make our way back over stubbly field boundaries again. Unsettling for me, just up the track, a full size model skeleton swung from a tree by a rope. Weird. The toilet/shower and other facilities are very good with a small laundry in the main toilet block. Car access to the site is by a barrier and a card is needed (£10 deposit). A handy dog walk surrounds part of the site. Sadly, at least one owner did not clean up after their dog so care was needed. One significant concern is the surface used for the roadways. It is sharp gravel with bits of pottery and glass. Walking in my Crocs, I got a small sliver of flint in my sock that almost penetrated my foot and one of our dogs became lame after a day. He then refused to walk on that surface though would do so on the grass areas. Clearly he found it uncomfortable. He recovered quickly after we left. 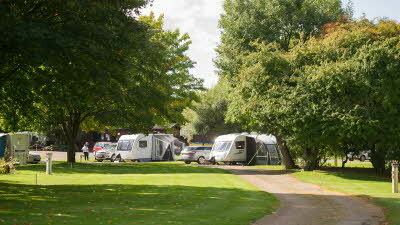 While the site itself is lovely, the warden was excellent and it is ideal for trips to Grantham and lovely Newark, the limited nearby footpath access and road surface means that we won't return.